Two counts of attempted murder of a peace officer were filed Monday against an ex-con accused of getting into a shootout that ended when Escondido police shot him in the foot. Jose Martin Torres, 36, of Oceanside, faces more than 50 years to life in prison if convicted of the charges stemming from last Thursday morning’s shooting and pursuit, which began when officers responded to reports of gunshots fired at a residence. In addition to the attempted murder counts, Torres faces three counts each of resisting arrest with force and attempted criminal threats, as well as one count each of reckless evading, negligent discharge of a firearm and being a felon in possession of a firearm. He pleaded not guilty Monday afternoon and remains in custody without bail. He is due back in court on Feb. 21 for a readiness conference and Feb. 26 for a preliminary hearing. According to the San Diego County District Attorney’s Office, Torres was out on bail at the time of the shooting in a domestic violence case and has a gang-related prior strike conviction from 2008. 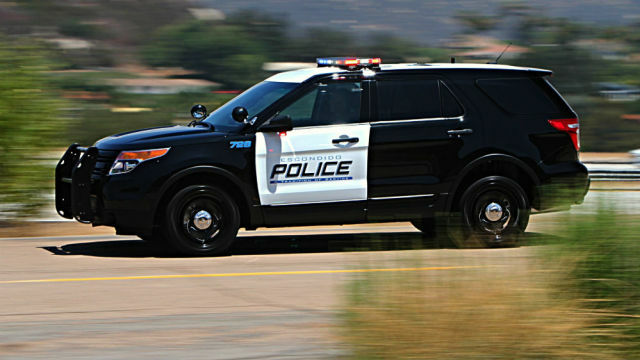 Dispatchers received a call about 1:30 a.m. Thursday from a person reporting that a man in a Dodge Charger was firing shots at a house in the 1400 block of Rincon Villa Drive, Escondido Sgt. Shannon Martin said at the time. Officers responded to the area, spotted the car and tracked Torres, who fled northbound on Interstate 15 before exiting on Deer Springs Road, according to Martin. As he ran, Torres fired four to six shots from a handgun at officers, the sergeant alleged. Pursuing officers returned fire and the suspect suffered a gunshot wound to the foot, Martin said. Officers took Torres into custody around 1:40 a.m. and he was taken to a hospital for treatment of the gunshot wound. Two officers were treated at the scene for minor injuries they suffered during the pursuit, Martin said, stressing that the injuries were unrelated to the shooting. Updated at 11:36 p.m. Feb. 11, 2019.